Singer and self-taught dancer who is best known for her TikTok video creations. She has earned over 700,000 fans on the app. Her dream job growing up was to be a recording artist. She was homeschooled during high school. 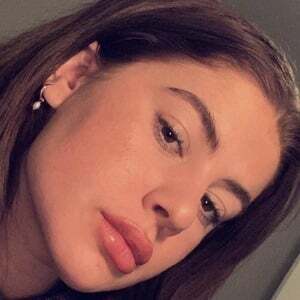 She has three sisters and two brothers and has done TikTok videos with her younger sister Christina. She used Ariana Grande's "Dangerous Woman" for her 100th video upload on TikTok.